Final year Business Information Systems students and BIS staff will showcase how they approach customer engagement, solution development, and data value at the 16th annual exhibition. All are cordially invited to attend the 16th Innovative Systems Exhibition which showcases final year projects. 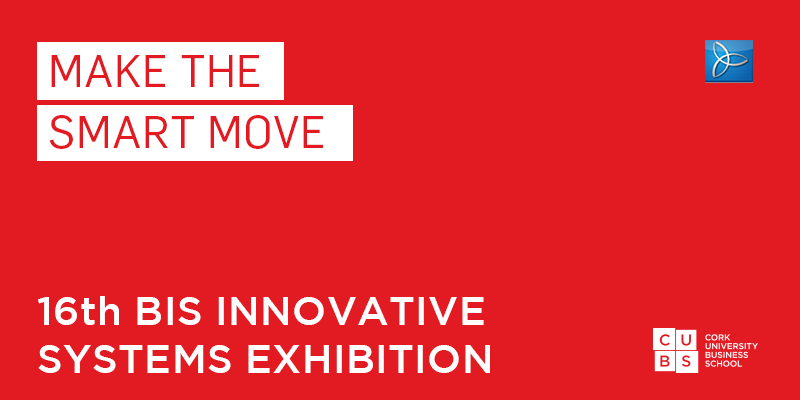 The Exhibition takes place in rooms G.79, G.80, 1.112 (1st floor), O’Rahilly Building from 2.00pm – 6.00pm.